Hundreds of thousands of Rohingya Muslims who fled to Bangladesh from violence in Myanmar have been "drained" by the trauma they suffered during the crisis and a struggle to overcome desperate want, the United Nations refugee chief said on Wednesday. More than 600,000 Rohingya have fled Buddhist-majority Myanmar since late August this year for neighbouring Bangladesh, driven out by a military clearance operation in Rakhine State. The refugees` suffering has caused an international outcry, spurring appeals by aid agencies for millions of dollars in funds to tackle the crisis. "I found this was a population that had almost no response. 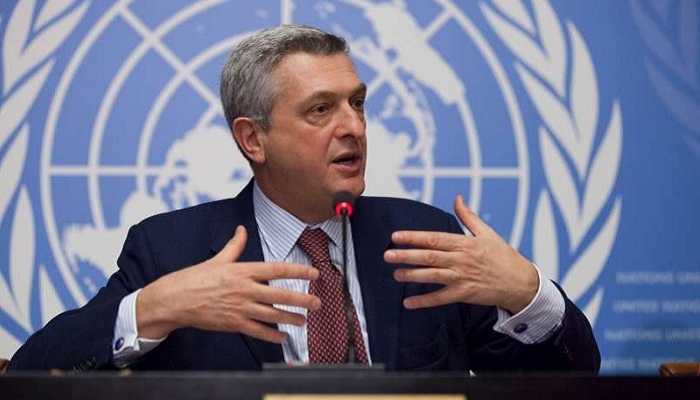 Very passive," said Filippo Grandi, the UN high commissioner for refugees, describing his visit late in September to camps where the refugees were staying. "You almost felt there was nothing left and that everything had been drained by this," he told Reuters in an interview in his first visit to the South Korean capital. He saw the lassitude as a symptom of trauma, he added. "We haven`t seen this kind of trauma for a very long, long time," the Italian diplomat said. "Maybe I saw it in the ‘90s in central Africa." Grandi coordinated UN humanitarian activities in the Democratic Republic of Congo during 1996-97 civil war. The success of aid efforts by the United Nations and non-government bodies depends on the Myanmar government to defuse the hostility facing humanitarian workers in Rakhine, Grandi said. "It`s not political work, it`s not to favour one community over the other," he said. "On the contrary, it`s directed to all those who are in need. And when members of the Buddhist community are in need, they certainly qualify for that. I think it`s important that they stress that, they do that more," said Grandi. Tension had been rising between the government and aid agencies even before the spasm of violence that began in late August. Officials had accused the World Food Programme of aiding insurgents after high-energy biscuits were discovered in July at a forest encampment the authorities said belonged to a militant group, the Arakan Rohingya Salvation Army. Longstanding antipathy among ethnic Rakhine Buddhists - who say the UN and nongovernment bodies favour the Rohingya with aid deliveries – spiked in August, with protesters demanding that aid agencies leave and the U.N. warning staff against rising hostility. Since the Aug. 25 militant attacks in Rakhine, the government has barred most aid agencies, except for the Red Cross organisations, from working in the state`s north, and curtailed their activities elsewhere in the state. In several cases aid deliveries have been forcibly blocked by Rakhine Buddhists. The UN’s Office for the Coordination of Humanitarian Affairs has said the World Food Programme resumed some food distribution in northern Rakhine this month, but limited access meant agencies still do not know how many people were internally displaced over the last three months. "Access remains restricted for most humanitarian actors in northern Rakhine, preventing them from reaching many people in need," the agency said. "In central Rakhine, humanitarian organizations also continue to face access constraints."